On 18 April 2017, the One World Hotel was besieged by a massive crowd. One might have thought they were there for a rock concert. They were really there for the Amazon Web Services Summit 2017. Join us at AWS Summit 2017 and find out what’s new in Amazon Web Services! 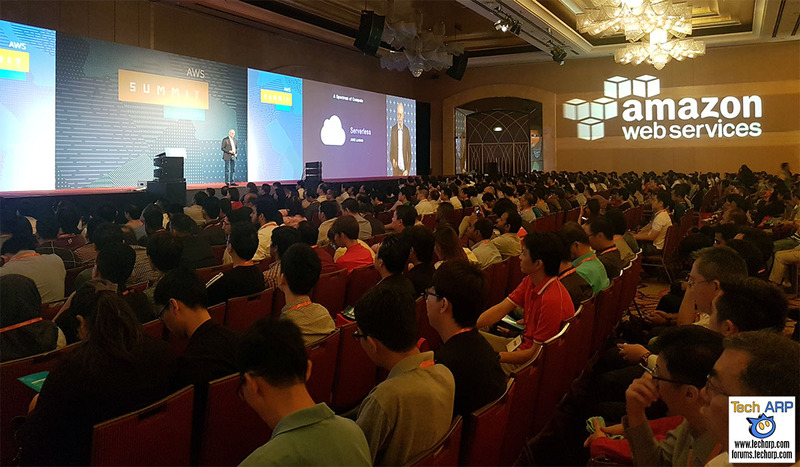 With 2 keynotes and over 20 technology sessions, the AWS Summit 2017 was a great opportunity for IT managers and professionals to get updated on the latest AWS services, and what they have in the pipeline. The highlight of the AWS Summit 2017 was a 90-minute keynote by Adrian Cockcroft, Vice President of Cloud Architecture Strategy, Amazon Web Services. Amazon Web Services is adding new capabilities on a daily basis, with over a thousand in 2016. Amazon will introduce Lightsail, a simple VPS service, to the Singapore AWS Region in the next few weeks. Amazon Athena allows you to quickly query data stored in S3, whether it is compressed and/or encrypted. It will also be available in the Singapore AWS Region in the next few weeks. Amazon Connect is a cloud-based contact center solution that is available today. It leverages Amazon Lex for natural language understanding and automatic speech recognition, and AWS Lambda for data and business intelligence. AWS also announced the Amazon Aurora PostgreSQL-Compatible Edition service, which is currently in developer preview. It promises to offer several times better performance than a typical PostgreSQL database at 1/10th of the cost. AWS Lambda just introduced support for Node.js 6.10 and C#, AWS Serverless Application Model and Environment Variables. The existing AWS DDOS protection has been branded as AWS Shield. It protects all web applications from volumetric and state exhaustion attacks. The new AWS Shield Advanced service is designed to protect enterprises against more sophisticated attacks. It includes advanced notifications and cost protection, as well as WAF (Web Application Firewall) at no additional cost. Previous : The 27 New AMD Radeon RX 500 Graphics Cards Revealed!